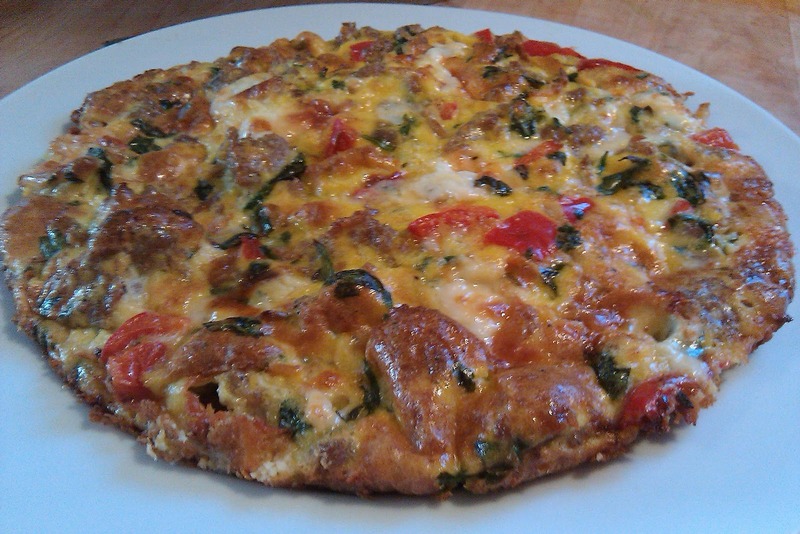 Fritata can either be a labor of love or a fridge dump recipe. It's up to you. Either way, it's simple, fast, and good. Break the eggs into a large bowl. Salt and pepper to your liking keeping in mind the seasoning that is already on the previously cooked vegetables. 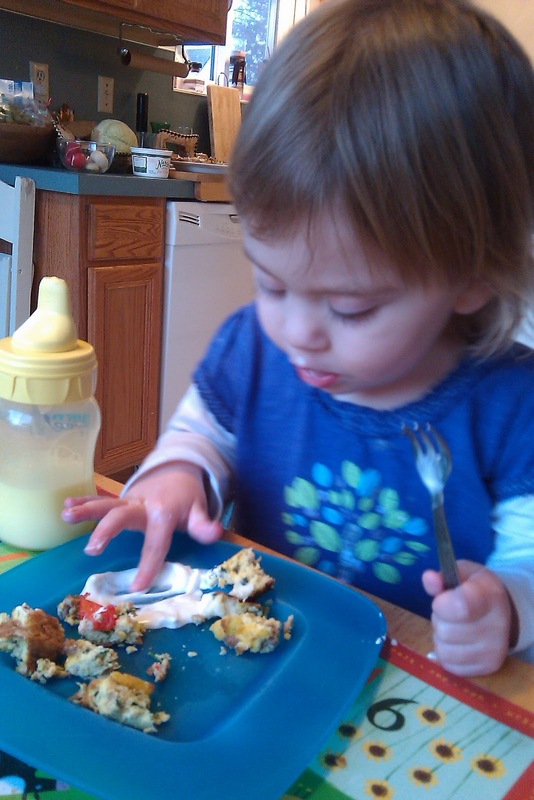 Scramble well and set aside. Shred or crumble your cheese into another bowl and set aside. In an oven-safe skillet, heat the olive oil and butter over medium-high heat. 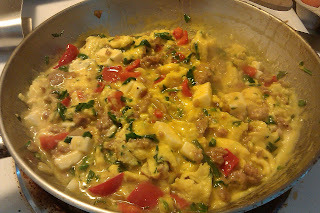 Add veggies and meat into the pan to warm through. (If sauteeing fresh fresh vegetables, now's the time) After a couple of minutes (or until your veggies are translucent), poor the eggs into the pan. With a wooden spoon or spatula, continually and slowly scrape the bottom of the pan so the raw eggs fall to the bottom to be cooked. When the mixture is 2/3 cooked through, place the skillet into the oven. Bake for 10-15 minutes, or until fluffy and golden brown. 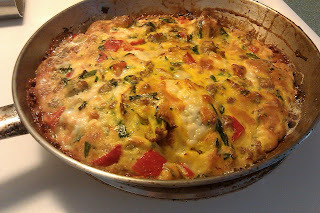 Remove the fritata from the oven and let cool for 10-15 minutes. 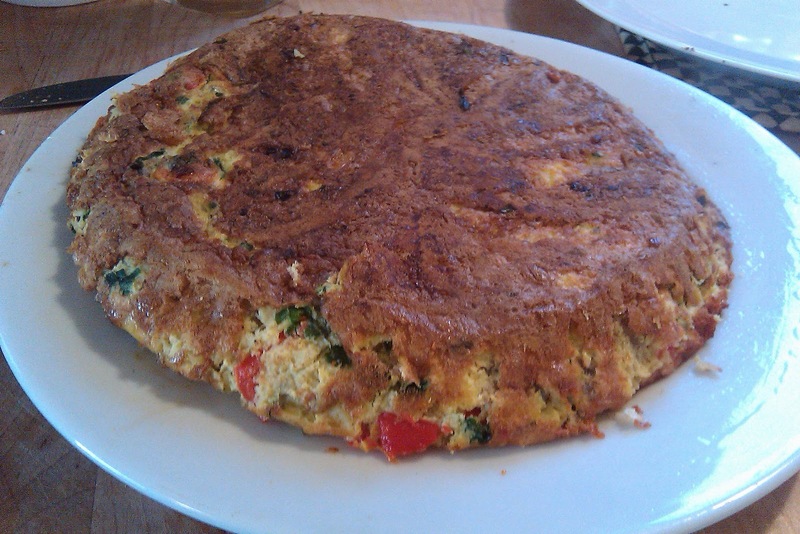 To remove the fritata from the pan you will need a knife and two dinner plates. 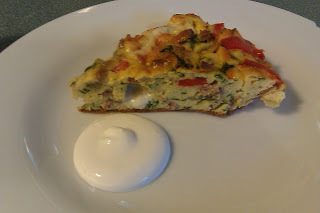 After the fritata has cooled a bit, run your knife around the edge to loosen from the pan. Take one of the plates and place it face-side down over the skillet. 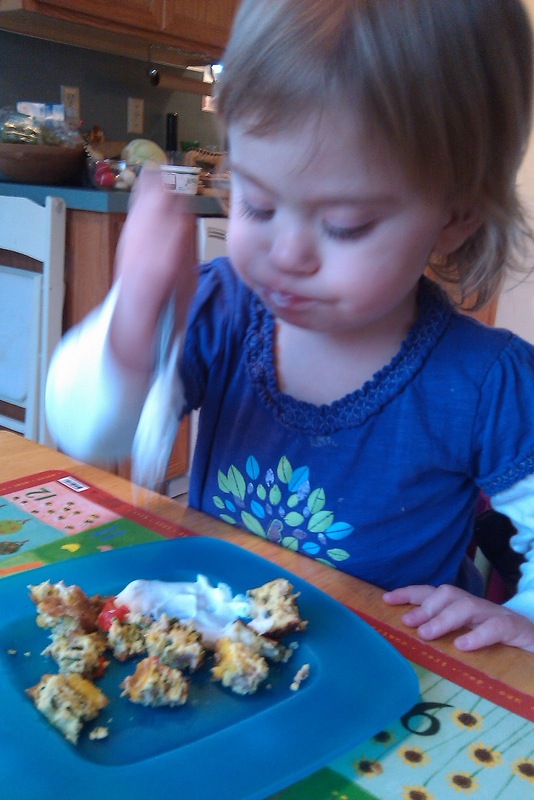 With both hands holding tight, flip the pan over to release the contents. It won't look pretty, but that's why you have your other plate. 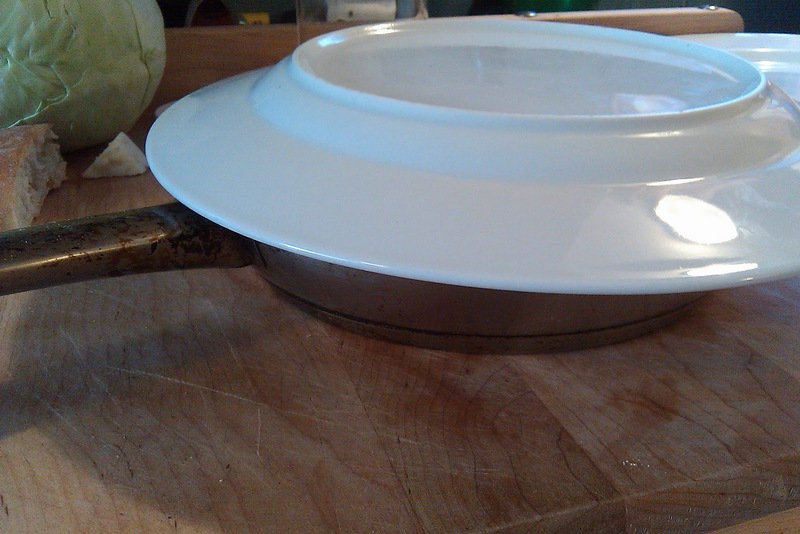 Repeat the flipping process onto your second plate (which will pf course be your serving dish). Slice into wedges and add a dollop of sour cream if desired. One thing to keep in mind about Fritatas, anything is game, keep it to three to four veggie/potato/cheese ingredients and you're set! !